First Choice Bacik Deli. Polish grocery store with a 30 year reputation for excellence, quality, value and hospitality. First Choice Bacik Deli & Liquors is a Polish specialty food store with a 30 year reputation for excellence, quality, value and hospitality. We provide our customers the freshest and highest quality homemade Polish products. We offer a very large selection of high quality selected meats, sausages, baked goods, cheese, dairy products, fresh fruit and vegetables, magazines, cosmetics and more. We are proud of our kitchen, which provides delicious homemade soups, crepes, stuffed cabbage, tripe stew, and pierogi among other freshly prepared items. 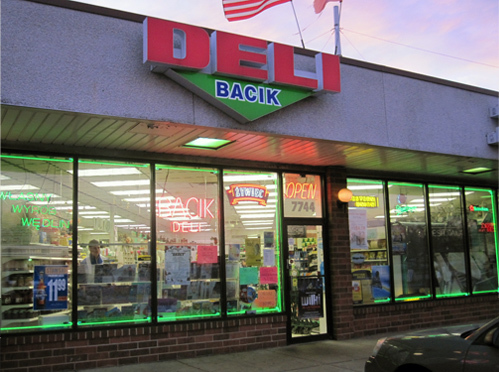 Our home made sausages and deli meats are widely known throughout the Chicagoland area.